Today is Day #2 of Winnie & Walter’s A Week to Die For. Today we are showcasing Essentials: Katharine Cutaways, In a Word: Cheers Cutaway, In a Word: Happy Cutaway and In a Word: Love Cutaway. 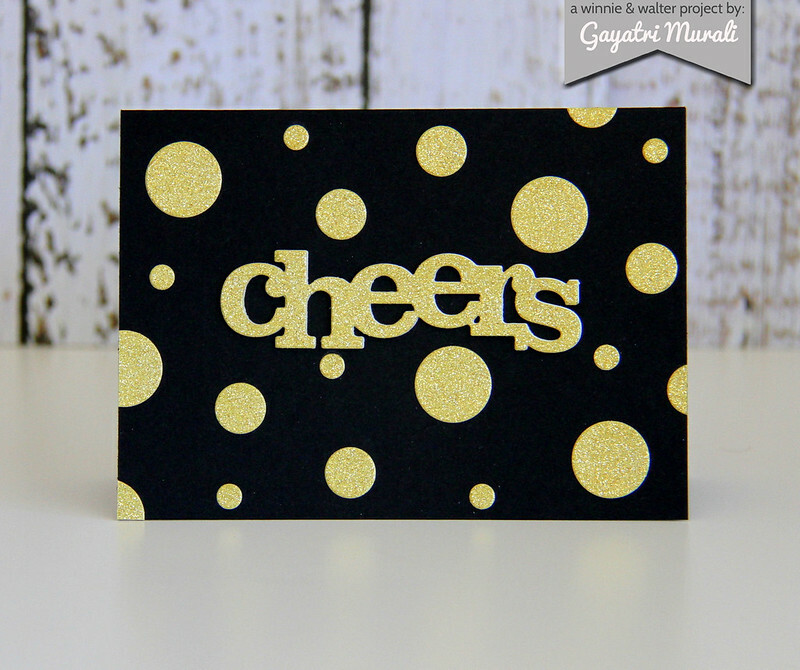 I have used In a Word: Cheers die to make my card below. I used the gold glitter paper to die cut my word die, the a few more using white cardstock. I stacked and glued them together with the gold gliltter die cut on the top. I chose black cardstock as my base to get a fantastic contrast. Then I die cut the circle die cuts out of The Big Bang Confetti Cutaway and glitter gold paper in three sizes. I then randomly glued them on the card front. 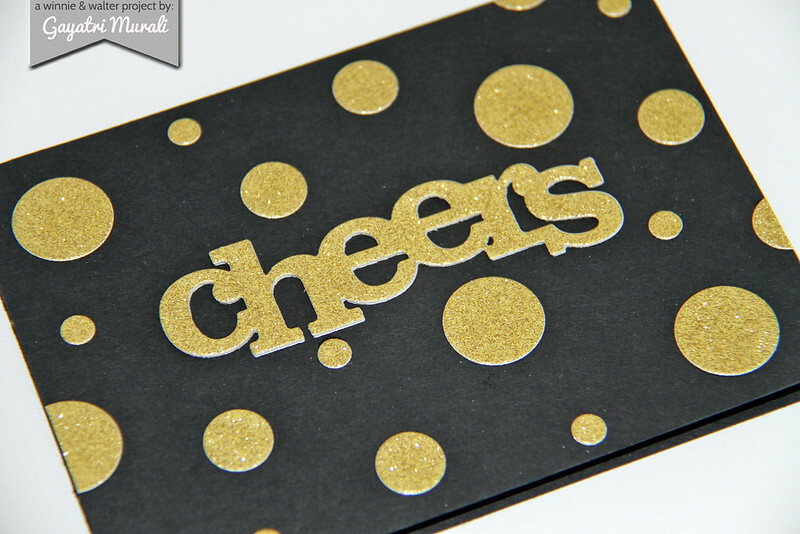 I just love the glitter gold on the black card base. Check out Winnie & Walter Blog for more design team and guest designer inspiration. See you tomorrow with more A Week to Die For inspiration. Oh, this is so fabulous! Gorgeous card. The gold and black is simply striking. I've just ordered some of the Winnie & Walter dies. They are awesome.